The 18th century Scottish philosopher David Hume famously argued that no description of the way the world is (facts) can tell us how the world ought to be (values). Hume’s argument was actually directed against religious apologists who sought to deduce morality from the existence of God. Ironically, however, Hume’s reasoning has since become one of the primary causes why some people – mainly of religious persuasion – fail to link morality to human knowledge. 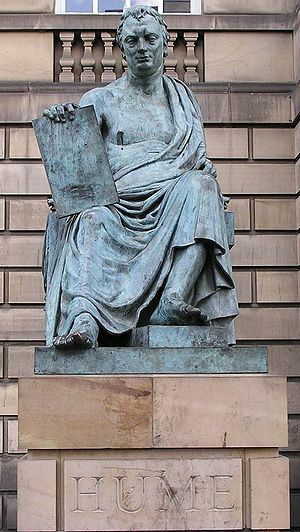 In fact, Hume may well have been wrong in his reasoning, since there is strong logical evidence to suggest one can indeed derive an ought from an is. Axiom 1: There are behaviours, intentions, cultural practices, etc. which potentially lead to the worst possible misery for everyone. There are also behaviours, intentions, cultural practices, etc. which do not, and which, in fact, lead to states of well-being for many sentient creatures, to the degree that well-being is possible in this universe. Axiom 2: While it may often be difficult in practice, distinguishing between these two sets is possible in principle. Axiom 3: Our values are ways of thinking about this domain of possibilities. If we value liberty, privacy, benevolence, dignity, freedom of expression, honesty, good manners, the right to own property, etc.—we value these things only in so far as we judge them to be part of the second set of factors conducive to (someone else’s) well-being. Axiom 4: Values, therefore, are (explicit or implicit) judgements about how the universe works and are themselves facts about our universe (i.e. states of the human brain). Axiom 5: It is possible to be confused or mistaken about how the universe works. It is, therefore, possible to have the wrong values (i.e. values which lead toward, rather than away from, the worst possible misery for everyone). Axiom 6: Given that the well-being of humans and animals must depend on states of the world and on states of their brains, and science represents our most systematic means of understanding these states, science can potentially help us avoid the worst possible misery for everyone. In the Old Testament, the Tabernacle is the portable tent used before the construction of the temple, where the shekinah (presence of God) was believed to dwell. ‘Humphrey: I wonder if I might crave your momentary indulgence in order to discharge a by-no-means disagreeable obligation which has, over the years, become more or less established practice within government circles as we approach the terminal period of the calendar year, of course, not financial. In fact, not to put too fine a point on it, Week Fifty-One and submit to you, with all appropriate deference, for your consideration at a convenient juncture, a sincere and sanguine expectation – indeed confidence, indeed one might go so far as to say hope – that the aforementioned period may be, at the end of the day, when all relevant factors have been taken into consideration, susceptible of being deemed to be such as to merit a final verdict of having been by no means unsatisfactory in its overall outcome and, in the final analysis, to give grounds for being judged, on mature reflection, to have been conducive to generating a degree of gratification which will be seen in retrospect to have been significantly higher than the general average. Hacker: What’s he talking about? Hacker: Are you saying Happy Christmas? St. Ambrose was one of the extremely small number of people in the Middle Ages who could read without moving their lips. In Amharic, the national language of Ethiopia, ‘aye’ means ‘no’. On the 25th of September 1915, the British Army first uses poison gas at Loos, France, but ends up gassing many of its own troops. The first thing Johannes Gutenberg sought to publish, after the Bible, was a laxative timetable he called a ‘Purgation-Calendar’. According to legend, St. Patrick used the 3-leaved shamrock to explain the Holy Trinity to the Irish people. St. Patricks Day, celebrating the arrival of christianity in Ireland, is celebrated almost all over the English speaking world on the 17th of March; in Illinois, the Chicago River is annually dyed green for the occasion. Research has been done into the alcohol consumption of James Bond ‘as if he were a real person’. The objective of the research was to create a retrospective literature review quantifying James Bond’s consumption of alcohol as detailed in the series of novels by Ian Fleming. Essentially, the researchers measured the weekly alcohol consumption by Commander Bond. The research was conducted as follows: all 14 James Bond books were read by two of the authors. Contemporaneous notes were taken detailing every alcoholic drink taken; predefined alcohol unit levels were used to calculate consumption; and days when Bond was unable to consume alcohol (such as through incarceration) were noted. The results were quite surprising: after exclusion of days when Bond was unable to drink, his weekly alcohol consumption was 92 units a week, over four times the recommended amount in the United Kingdom. His maximum daily consumption was 49.8 units. He had only 12.5 alcohol free days out of 87.5 days on which he was able to drink. In conclusion, if James Bond were a real person, his level of alcohol intake would put him at high risk of multiple alcohol related diseases and an early death. Bond would be considered a grade 3 drinker, putting him in the highest risk group for malignancies, depression, hypertension, cirrhosis and sexual dysfunction. Researchers estimate death at 56. The level of functioning as displayed in the books is inconsistent with the physical, mental, and indeed sexual functioning expected from someone drinking this much alcohol. 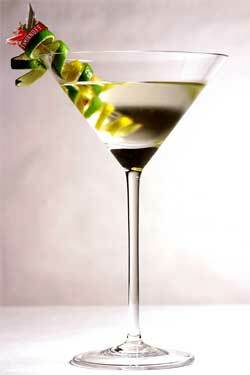 Bond’s alcohol consumption resembles a pattern that is commonly seen in people suffering from chronic liver disease; although he has enough in his life to be stressed about, his drinking is probably enduced by a cerebellar tremor (also known as an intention tremor, the result of dysfunction of the cerebellum). Besides the fact that Bond has quite a dangerous job, his heavy alcoholism is not his only danger in his life; a chapter in Casino Royale begins with the line ‘Bond lit his 80th cigarette of the day’. – Ian Fleming, coincidentally, was an ardent smoker.